Do you want to make any significant change in your life’s targets? The Chinese Zodiac Rooster 2017 Predictions forecast the first-half period of the upcoming year is promising. Everything seems to be peaceful for you during this season; especially you don’t have to worry about the domestic welfare and happiness. The financial state would be quite satisfying to the Rooster natives. Also, the astrologers mentioned that you won’t face major hindrances or troubles in life, so take this opportunity completing all the pending objectives in the previous years. Spend more times with your friends and family, and solve the misunderstandings between you and the spouse. Balance your personal life and professional life to improve your standard of living. Right now, you may feel pleasant and satisfied outside; however, the Rooster’s emotional side need to be checked. The year-end might bring you all sorts of distractions in life. 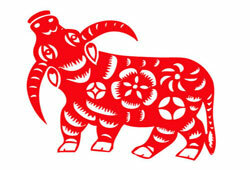 Love & Relationship – This Chinese Zodiac Sign indicates a warm-hearted and honest person. You have a tendency to devote everything for people and always keep the promises. During the period, you’re advised to find new ways of expressing love & affection to the beloved. Don’t act hastily when arguing personal issues with your partner. Deal with the personal well to avoid hurting him/her. Peace and harmony will return in the middle of the year 2017! Rooster and Ox: This is a match made in heaven. Both of them are ambitious and hard-working in the career field. Being together, they can support and help each other with passion and excitement. 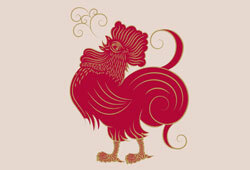 Rooster and Snake: This is an incredible union. These two animals have lots of things in common, such as they both are ambitious, methodical, and attentive to any situation. This couple might not be romantic like others, but they can assist the partner in accumulating wealth in life and achieving happiness in marriage. There’s no hope for the Rooster and the Rabbit – they are highly incompatible. Moreover, they don’t have any common point to form a romantic relationship. 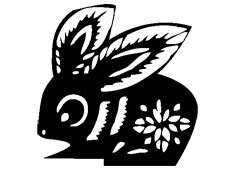 Compared to a pure dreamer like the Rabbit, the practical Rooster loves fighting against the challenge to reach his/her goal. 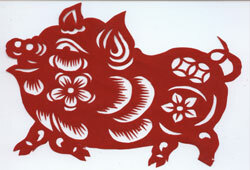 Career – According to your Yearly Chinese Horoscope, the Rooster natives should focus more on freedom and security in work. Follow the inner voice and trust your intuition to find the liberty while working. Don’t let yourself involve in any conflict with the supervisors and peers in the workplace as it might affect badly to your career future. You would face some troubles at first-half 2017, but lose no hope. Keep the faith and confidence to pursue what you want! Health – The significant thing you need to do right after the New Year come is looking for balance. Most of the Roosters are typically healthy and don’t get sick often since they overcome the challenges well and recover quickly. The hectic life could make you feel stress, sensitive, and anxious. Try to have proper sleep and nutritional meals to strengthen both your mental and physical condition. Do meditation and exercise to keep a positive mind and release the tension! Generally speaking, from the details in the Chinese Zodiac Rooster 2017 Predictions, you’ll go through the coming year by availing your contemplation and thinking. Don’t keep holding on the past! Move ahead if you want to have a happy future life.